Millions across the world follow Priyanka Chopra and stalk her online. She is an inspiration to the celebs as well as for commoners. The craze of Priyanka Chopra has been growing day by day. Desi Girl Priyanka Chopra is now a global icon. Notably, ‘Princess Diaries 3’ star Anne Hathaway has become a fan of Priyanka Chopra. 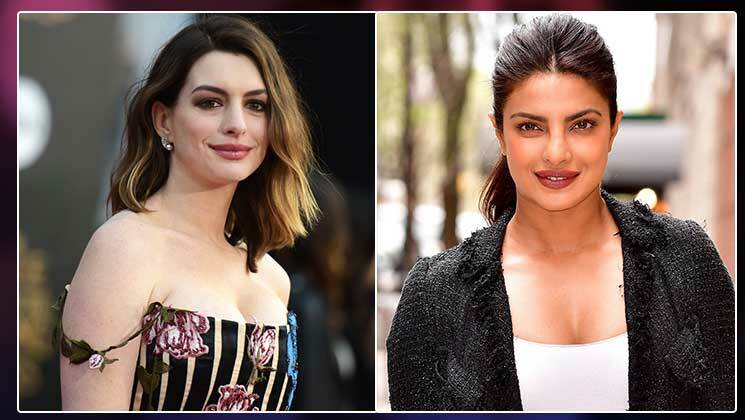 A throwback video is currently going viral on the internet in which Anne Hathaway was spotted gushing about Priyanka’s beautiful skin. Priyanka Chopra has always been vocal about her ‘dark skin’ and how she has been bullied in her school for her skin tone. However, after watching this video, the former Miss World must be feeling proud of herself. On the work front, Priyanka was recently seen at ‘Isn’t It Romantic’ premiere show in a glamorous gown by Viviene Westwood. She will next be seen in Shonali Bose’s ‘The Sky Is Pink’. The film also features actress Zaira Wasim and actor Farhan Akhtar in pivotal roles. In December 2018, Priyanka and Nick Jonas got married at Umaid BhawanPalace, Jodhpur in traditional Hindu and Christian ceremonies. Since then, the couple has been giving fans major couple goals.